1981 1932-1982 - The Taliesin Fellowship: A Directory of Members Kassler, Elizabeth B. Original List Price $5.00. A Desert Walk With Cornelia Brierly. Frank Lloyd Wright Foundation. Spring Seminar, Taliesin West 3/24/84. 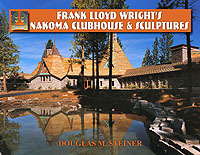 (Soft Cover) Frank Lloyd Wright; Brierly, Cornelia; Kearney, Thomas H.; Peebles, Robert H.